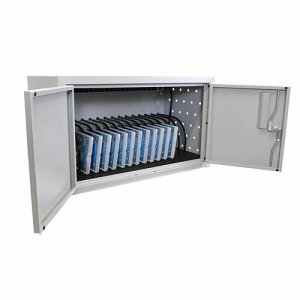 This Tablet Charging Box is the best solution to charging and securing up to 16 tablets (sold separately). Perfect for offices and businesses that use a large quantity of mobile devices. Just put your tablets or other devices into the box and lock it. In a matter of time they will be fully charged and ready to use! 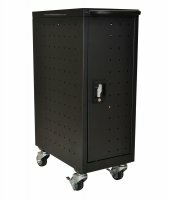 This mobile charging station makes charging your small notebooks, chromebooks or iPads easy and safe. 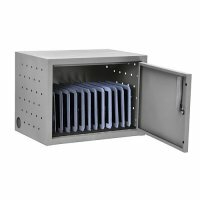 The box has plenty of ventilation that allows the air to circulate freely through the unit, so now you will never have to worry about your tablets and laptops overheating while in the charging station.